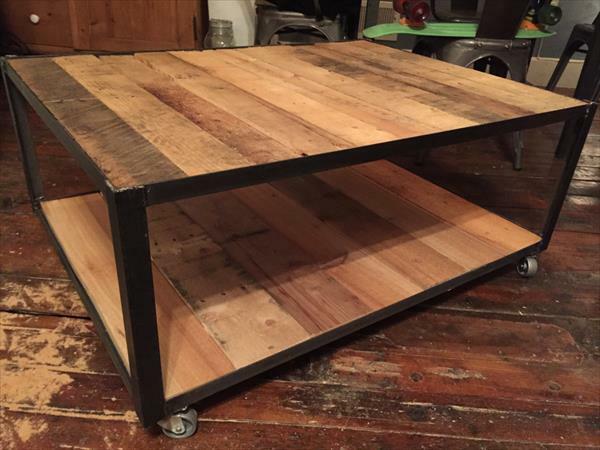 Pallet wood is super easy to handle while constructing table furniture out of it. 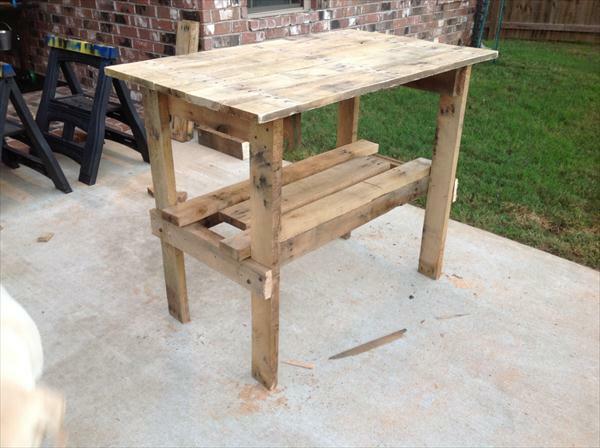 You will find here numerous functional and highly fashionable styles of tables made of pallets. Here you will find a more functional behavior of wood and metal as both have been treated creatively to form a table. 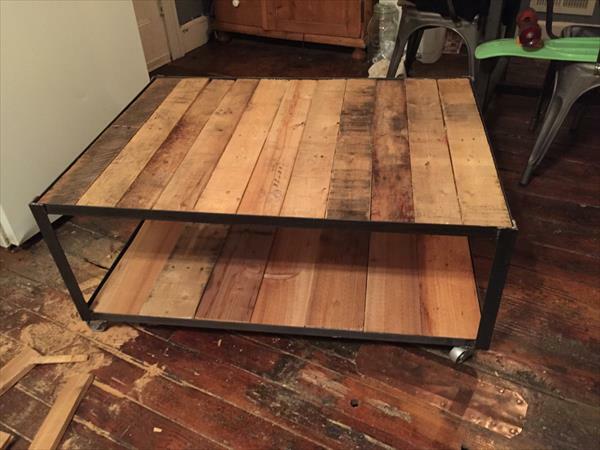 This DIY pallet industrial coffee table has been salvaged out of pallets found from the ash heap and junky yard. Steel metal scrap has been reclaimed and welded to give endured hairpin legs for these beefy wooden top of the table. Side pockets leads to a storage place for TV remotes, private tools, newspaper and magazines. Wood has been left in natural wood texture to give a environment friendly behavior. You can show many color variations through paint and stain if you like to do so. This rustic yet modern appearance of table is just best for vintage and farmhouse interiors and will also be center of attention in modern chic living room. So copy these pallet ideas which totally avoids any misuse of money.